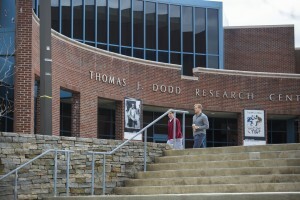 The exhibition brings together the photography and field reports of Wallace during the years he spent as a reporter in the war zones of El Salvador, Nicaragua and Guatemala in the 1980s and includes color and black & white photographs from the frontlines of those countries, text panels, audio and multimedia clips, equipment, posters and other artifacts from the era. 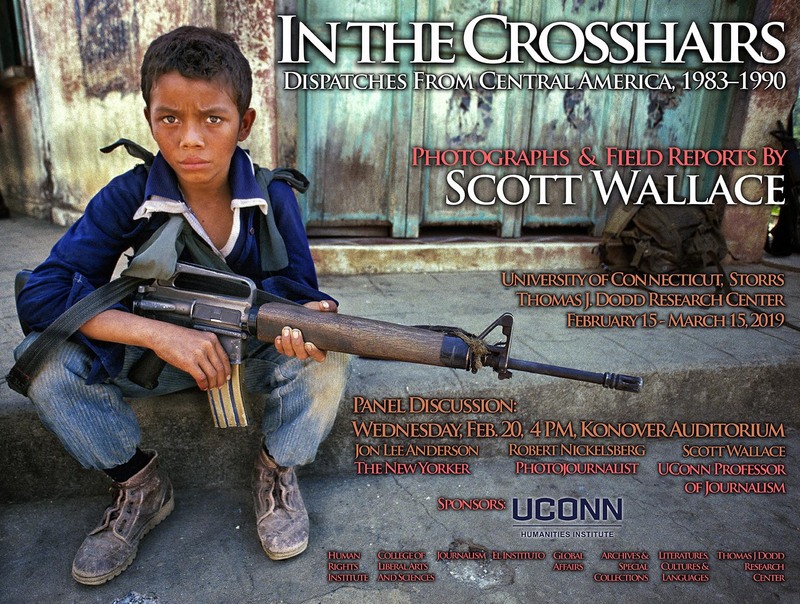 Join award winning journalists Jon Lee Anderson, Robert Nickelsberg and Scott Wallace as they discuss their experiences covering conflict and politics in Central America during the 1980s, and what that means for us today. Jon Lee Anderson is a contributor to The New Yorker. 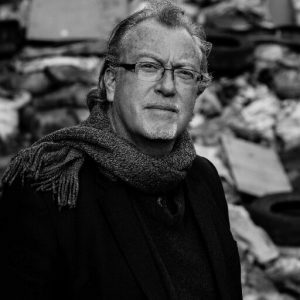 Since 1998, he has covered numerous conflicts for the magazine, including those in Syria, Lebanon, Libya, Iraq, Afghanistan, Angola, Somalia, Sudan, Mali, and Liberia. He has also reported frequently from Latin America and the Caribbean, writing about Rio de Janeiro’s gangs, the Panama Canal, the 2010 earthquake in Haiti, and a Caracas slum, among other subjects, and has written Profiles of Augusto Pinochet, Fidel Castro, Hugo Chávez, and Gabriel García Márquez. Robert Nickelsberg worked as a TIME magazine contract photographer for nearly thirty years, specializing in political and cultural change in developing countries, covering Central and South America and the conflicts taking place there in the mid 1980s. 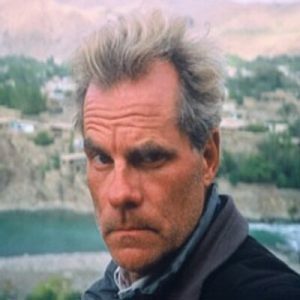 Scott Wallace is Associate Professor of Journalism at UConn and is a writer, photographer, broadcast journalist and public speaker who covers the environment, vanishing cultures, and conflict over land and resources in the world’s volatile frontier regions. 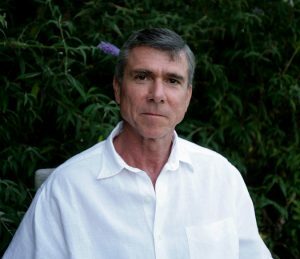 He is a former Central America correspondent for CBS News, Newsweek, and the Guardian.